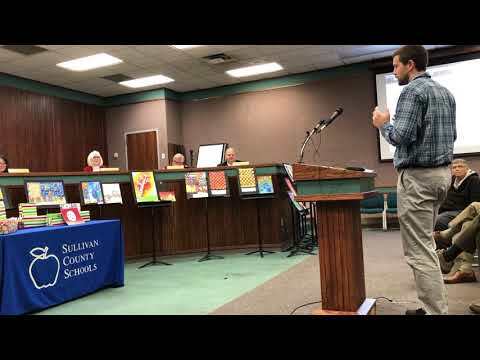 BLOUNTVILLE — Students, parents and teachers of Innovation Academy of Northeast Tennessee spoke out against an option to close the STEM school at the end of this academic year as a cost-saving measure. STEM stands for science, technology, engineering and math, described by some as “hands on, minds on” learning. 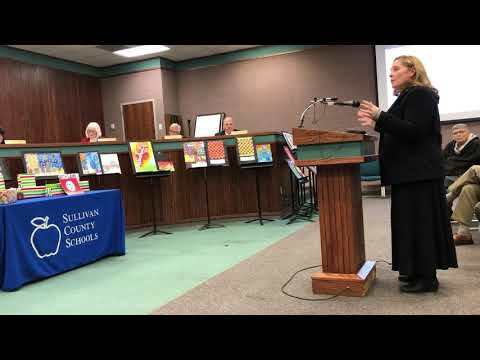 During Tuesday’s Board of Education meeting, IA parent Rodney Padgett of Blountville said IA and the other two schools under consideration for closure, Blountville Middle and the middle school portion of Sullivan Gardens K-8, are caught in a financial tug-of-way battle between the BOE and the Sullivan County Commission. In urging the school board and commission to work things out, he and others also argued it made no sense to close a high-performing school to save less than $300,000 a year out of an overall annual operational budget of more than $85 million. 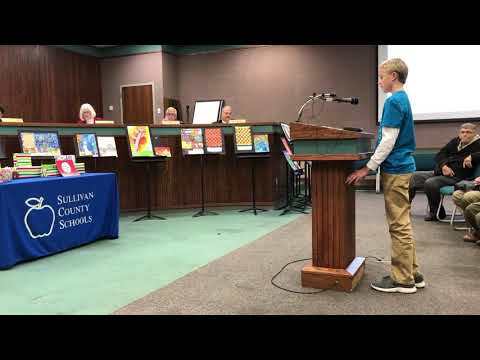 IA student Curtis Childress said closing the school would impede students from becoming STEM professionals, while IA sixth-grader Avery Padgett said he is interested in coding, computer programing, troubleshooting and aviation and wants to work on aviation computers as a career. “IA has been the best school I’ve ever attended,” Avery said, adding that it has no bullying like schools he used to attend. Another student said bullying was rare at IA. Rodney Padgett said IA parents, many unable to be at the board meeting because they were at a school band concert, feared overcrowding and traffic issues at Holston Middle, which would take in Blountville students and many from IA who are zoned for Holston, and losing out-of-district money of $9,000 for every non-Sullivan student who attends IA. All told, closing all three schools would save almost an estimated $1.4 million a year. WHAT DOES A TEACHER SAY? The school founded in Bloomingdale in 2012 as a joint venture with Kingsport moved to the Holston Middle campus in 2014 after Kingsport dropped out, has the same principal as Holston Middle and shares physical education, related arts, a cafeteria, sports and some staff with Holston Middle. In the Tennessee 2017-18 Report Card released earlier Tuesday, IA ranked a perfect 4 out of 4 on academic achievement and also 4 for children not being “chronically out of school,” although on academic growth, formerly known as valued added, it ranked 1.6 of 4. Many high-performing schools have problems meeting growth goals because students already are at high levels. Rodney Padgett said a website called schooldigger.com based on past performance ranked IA 46th of the best 500 middle schools, with Kingsport’s Robinson Middle at 71st and Sullivan County’s Colonial Heights Middle at 126st. IA also was a Reward School for achievement in 2017, putting it in the top 5 percent in that category. “The STEM brings out the best in them,” he said. In addition, veteran Blountville Middle teacher Leslie Carr said it made no sense to close Blountville two years before its planned closure, ship its students to Holston Middle and then ship Holston and Blountville Middle students to Sullivan Central Middle, the current home of Sullivan Central High, after the new West Ridge High School opens. That opening is projected for the fall of 2021. WHY ARE CLOSINGS BEING DISCUSSED? The board in October asked Director of Schools Evelyn Rafalowski to bring money-saving options to the board at its retreat, held Nov. 29, to help offset the loss of $1.6 million in annual renovation funding from the county commission and the school system’s more than $350,000 in funding for additional school resource officers, which are funded by the county and school system jointly. Padgett said the commission switched the school renovation fund, generated from 3 cents on the county property tax rate in 2013, to a county capital projects fund. The school system has more than $11 million in fund balance, but BOE Vice Chairman Randall Jones said $4.8 million will be used for athletic fields at West Ridge not covered by bonds, while another $1.3 million is set aside for sewer service to the new Sullivan East Middle School, nearly $3 million is earmarked to balance the fiscal 2018-19 budget and the system must keep at least 3 percent of its operational budget in reserve for emergencies, as required by Tennessee. “This is just a discussion. No decisions have been made,” Chairman Michael Hughes said before public comment on the potential closures.